A federal judge in Philadelphia issued a preliminary injunction Wednesday blocking a federal government attempt to withhold law-enforcement money from so-called “sanctuary cities” — a ruling that could impact a lawsuit Los Angeles has filed over the same issue. immigrants in the country illegally. Los Angeles, Philadelphia and other cities have long attempted to limit their cooperation with immigration agents, arguing that colluding with the federal authorities discourages immigrants living in the country illegally from reporting crimes or cooperating with local law enforcement. While the Byrne grant is typically a small amount of money — making up roughly $1 million annually out of Los Angeles’ $8 billion-plus budget — it has become a central focus of local jurisdictions’ efforts to oppose the Trump administration’s hardline stances on illegal immigration. Los Angeles also sued over new requirements attached to the Community Oriented Policing Services grant, which awards bonus points to jurisdictions that agree to focus the use of grant funds on illegal immigration and commit to policies at detention facilities to promote the federal government’s immigration policies. Los Angeles filed its lawsuit in October. The state of California, San Francisco and Chicago have also filed lawsuits over the issue, and a federal judge in September granted Chicago a similar injunction barring the Trump administration from requiring sanctuary cities to cooperate with immigration agents in order to receive public safety grants. Feuer said in October that he objected to the new guidelines for several legal reasons, arguing in part that the Justice Department does not have the authority to impose rules on the grants because they were created by Congress. The Los Angeles Police Department since 1979 has had a policy of restricting its enforcement of federal immigration laws, which has put it in conflict with President Donald Trump as he has looked for various ways to get local jurisdictions to be more cooperative on the laws — including withholding federal grants. “Philadelphia is not a sanctuary for anyone involved in criminal conduct, nor is it a sanctuary as to any law enforcement investigation, prosecution or imprisonment after having been found guilty of a crime. The court does not need a label for Philadelphia’s policies,” Baylson wrote. Los Angeles has received more than $1 million annually since 1997 from the Byrne grant, according to Feuer’s office. Los Angeles applied for and received COPS grants in 2012 and 2016, including a $3.125 million award in 2016 that was used to help expand the “Summer Night Lights” and “Fall Friday Nights” gang-reduction programs. Attorney General Jeff Sessions has defended the new policies as necessary to help fight illegal immigration. 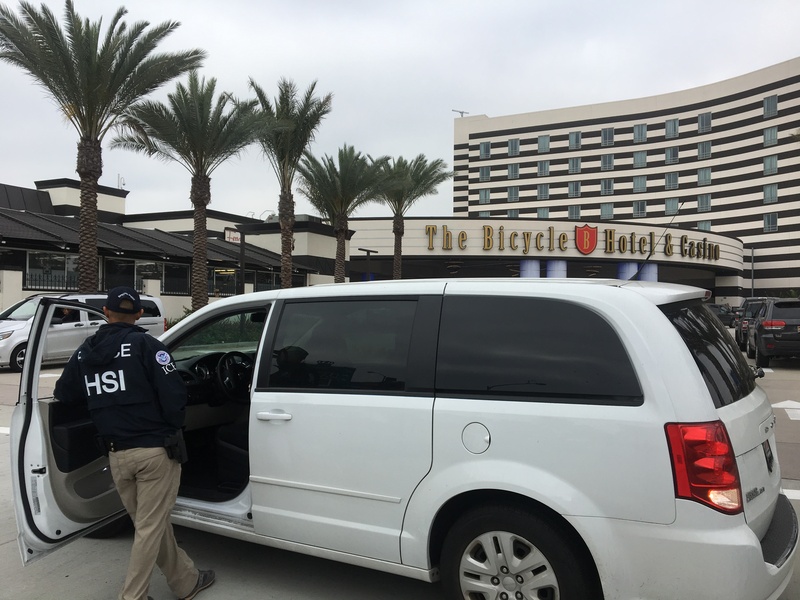 Bell Gardens relies heavily on revenue from the Bicycle Hotel and Casino, but today’s raid by federal agents could lead to a substantial economic hit to the Southeast city if the Casino is closed for a prolonged period, or shut down permanently. 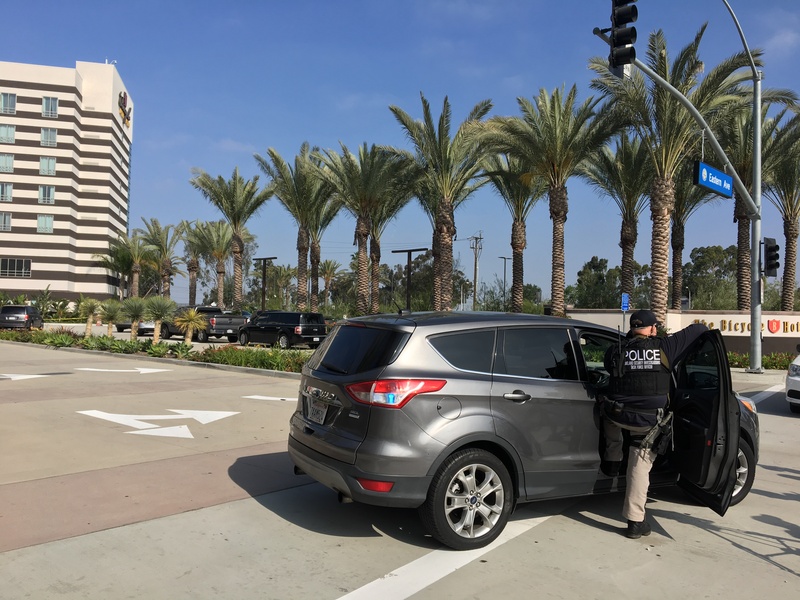 Dozens of law enforcement officials with the Los Angeles High Intensity Financial Crime Area Task Force — which includes the U.S. Immigration and Customs Enforcement’s Homeland Security Investigations (ICE), IRS Criminal Investigation, the California Department of Justice, Bureau of Gambling Control and the United States Attorney’s office — executed a search warrant at the Casino around 7 a.m. Tuesday. Bell Gardens police, who have in the past taken part in other joint federal task forces, were not involved in today’s action, the department told EGP. Because the task force is known to target money laundering, there is speculation today’s raid could be related to organized crime. A call by City News Service to the poker club’s legal department was not immediately returned. With the exception of a few hotel and casino managers, most employees were allowed to leave the premises. A woman resembling Julie Coyne, executive director of the Bicycle Casino Community Foundation, was caught by a helicopter news camera being escorted by federal agents into the Casino early in the morning. The task force is expected to seize financial documents from the Casino. No arrests have been made so far. The Bicycle Casino – known to many poker players as The Bike – is expected to be closed to the public for the rest of the day, but hotel guests who could show a room key card were being allowed to return to the Casino. News of the raid spread quickly through the small city, drawing people to stand outside the facility to get a closer look. It also led to a lot of conversation amongst neighbors, with some speculating as to the reasons behind the early morning raid. Jorge Gonzales, a longtime city resident whose mother at one time worked for the Casino, told EGP he believes federal investigators are looking into criminal activity he says has been going on for years. “I’m not surprised, it’s actually about time they look into what’s going on here,” he said. “This place was put up with gangster money,” he said, referring to the Casino’s history. Founded in the mid-1980s, the Bicycle Club was seized in 1990 by the federal government after investigators said the club was partly built with laundered drug money. A number of casino employees — who did not want to be identified for fear of putting their already uncertain jobs at risk —told EGP they had not been told if they should show up for their next work shift. “Most people who work here are honest, humble, good people,” said one employee. “The people gambling are not from Bell Gardens,” he added, implying the raid may be targeting activity by foreigners. 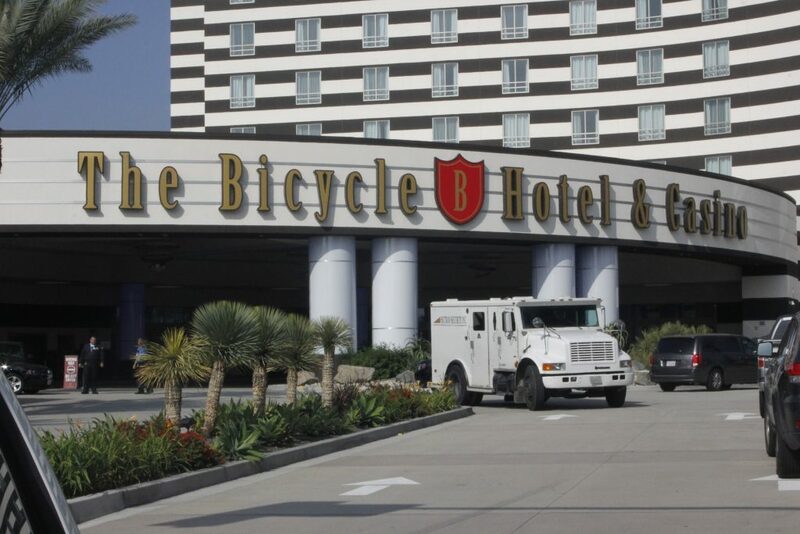 Many Bicycle Hotel and Casino employees live in Bell Gardens. Several said Tuesday they are worried about their jobs. “I can’t imagine what will happen if they close this place down,” said one worried employee, who hopes he will still receive his paycheck this week. “It’s not beneficial for the casino or the city” for it to be closed down, interjected a woman in Spanish. The Bicycle Casino Hotel opened with great anticipation in December 2015. Gov. Jerry Brown was at both the groundbreaking and grand opening of the $50 million, seven-story, 100-room hotel. In years past, nearly half of Bell Gardens’ General Fund revenue has come from the Casino. It is expected to generate $13 million in funds for the city during the 2016-17 fiscal year that ends in June, an amount projected to be slightly higher in 2017-2018. A long time closure or the revoking of the Casino’s license could have a negative impact on city finances. In 2012, when Casino revenue dwindled to an all-time low, Bell Gardens found itself with a budget deficit that took a toll on some city services. Call to Bell Gardens officials for comment were not immediately returned. The possibility of such drastic action – long time closure or revoking the Casino’s license – seem unlikely based on similar raids of other Casinos. 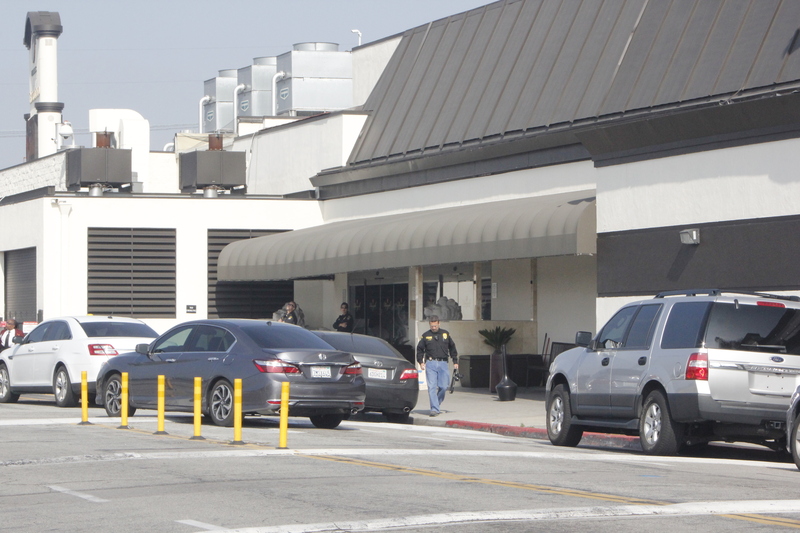 Federal authorities last year investigated the Gardena card club formerly known as the Normandie Casino for violating anti-money laundering laws. The partnership that ran the Normandie was ordered to pay about $2.4 million to settle federal charges that the poker club failed to report large cash transactions to federal authorities, as required. As part of an agreement with the government, the four partners agreed to pay a $1 million fine and to forfeit nearly $1.4 million for failing to maintain an effective anti-money laundering program and conspiring to avoid reporting to the government the large cash transactions of some of the casino’s “high-roller” gamblers. Under the Bank Secrecy Act, casinos are required to implement and maintain programs designed to prevent criminals from using the clubs to launder the large sums of cash that illegal activity can generate. For example, casinos must record and report to the government the details of transactions involving more than $10,000 by any one gambler in a 24-hour period. City Manager Phil Wagner does not believe the current Bicycle Hotel and Casino owners and management are the targets of this investigation citing reports that the probe is focused on individual gamblers that may or may not have used the casino to launder illegally obtained cash. “Unfortunately for the many law-abiding customers of the Casino, its employees and the community which has suffered a great deal of negative publicity,” Wagner told EGP. “That’s totally unfair to the Casino and to this community,” Wagner told EGP. Even if not closed, heavy fines would hurt Casino revenue, losses that could in turn hurt the city’s budget. The Bicycle Casino has always been the crown jewel in the working class city, longtime Bell Gardens resident Nury Balmaceda told EGP. It “helped build all this,” she said, pointing to the surrounding development that now includes high producing retailers like Ross and Marshals and the newly opened Dunkin’ Donuts and Chipotle. Other residents were concerned by the presence of ICE agents in the Southeast city, home to a large immigration population. “A lot of undocumented people may be afraid to come out,” noted Balmaceda, who hopes nothing bad comes out of the raid. In addition to city revenue, The Bicycle Casino Community Foundation provides scholarships for local students, recognizes local businesses and hosts an annual Christmas celebration for low-income residents. [Update 7:15p.m.] to include statement from Bell Gardens City Manager. The Western Union Co. has agreed to forfeit $586 million and admitted to crimes in connection with money laundering and fraud schemes, in an agreement announced Thursday by the U.S. Justice Department and Federal Trade Commission. In its agreement with the Justice Department, Western Union admits to criminal violations, including willfully failing to maintain an effective anti-money laundering program and aiding and abetting wire fraud, officials said. According to the written admissions, between 2004 and 2012, Western Union violated the Bank Secrecy Act and anti-fraud statutes by processing hundreds of thousands of transactions for Western Union agents and others involved in an international consumer fraud scheme. Scheme participants directed the victims to wire money through Western Union to help their relative or claim their prize. Various Western Union agents were complicit, taking a cut of of the money transfer, prosecutors said. Western Union, which is based in Englewood, Colorado, knew of, but failed to take corrective action against its agents involved in or facilitating ,fraud-related transactions, the Justice Department said in a statement. Prosecutors said the company failed to fire or discipline agents who ,repeatedly violated federal law and Western Union policy through their illegal activity in the Central District of California, which includes Los Angeles, Orange, Ventura, Santa Barbara and San Luis Obispo counties, and elsewhere. The FBI and other agencies found that Shen Zhou International in Monterey Park sent more than $310 million in Western Union transactions to China — about 50 percent of which were structured to avoid federal money reporting regulations, prosecutors said. The owner of Shen Zhou — Zhihe “Frank” Wang, 60, of Monterey Park — pleaded guilty in 2013 to one count of structuring international transactions to evade reporting requirement in Santa Ana federal court. Wang admitted making numerous transmission to China in $2,500 increments, which is just below the $3,000 amount that triggers various reporting and record-keeping requirements for money transmitters. Western Union had policies against that, but took no disciplinary action against Shen Zhou beyond one 90-day probation in January 2006 during which Shen Zhou continued to process transactions, according to the Justice Department. “This settlement should go a long way in thwarting the proceeds of illicit transactions being sent to China to fund human smuggling or drug trafficking, as well as to interrupt the ease with which scam artists flout U.S. banking regulations in schemes devised to defraud vulnerable Americans,” said Deirdre Fike, the assistant director in charge of the FBI’s Los Angeles field office.